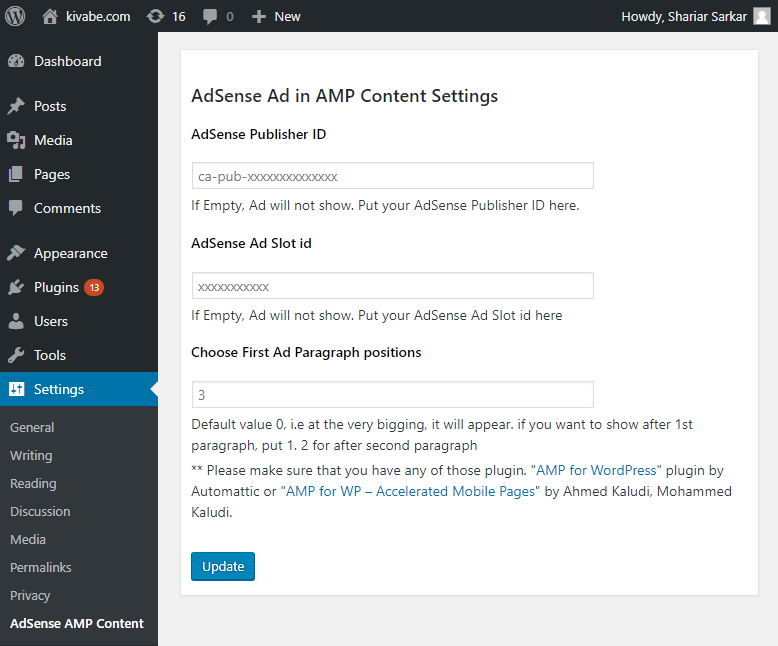 We have created a WordPress plugin called AdSense AMP Post Content Ad. The main goal of this plugin is to let you insert your AdSense ad code inside WP Post content. AdSense AMP Post Content Ad is a very simple plugin that has dependency on “AMP for WordPress” plugin by Automattic or “AMP for WP – Accelerated Mobile Pages” by Ahmed Kaludi, Mohammed Kaludi. 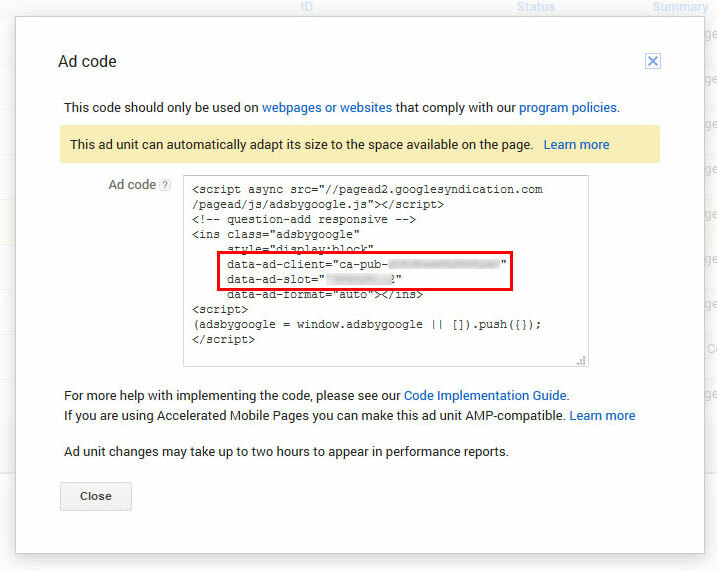 That means, this plugin ( AMP AdSense Post Content Ad ) will work only if you use any of those plugin to convert your existing WordPress into AMP (a project of Google to make web page faster then before for mobile device). The setting of this WP Plugin looks like below image and you will find this under settings option of your WordPress site. When you create any ad block in your AdSense account, you should get Publisher ID and Ad Slot id. Have a look on below image. publisher id and ad slot id And the 3rd option is to set the ad position inside your WP post content. Default value is 0 that means the ad will come at the very beginning of the content after title. If you want to place ad after 2nd paragraph, put value as 2. like this. So, to have this option on your WP site, install the plugin in your site. This is now in WordPress.org plugin directory. To get it, hit the link below. Currently, it will allow only one ad slot inside post content. We are still working on it to make it better. If you have a query or suggestions regarding this plugin, please fill free make comment below. We will right back to you.